What happens when a small-town kid from rural America is called up to serve his country in the Army Air Corps in England during World War II? Author Clifford Benjamin Digre (CB) was born in 1923 in Hendricks, Minnesota. After he graduated from Hendricks High School in 1941, he entered the Army Air Corps in 1943 and was discharged after World War II in 1945. He later graduated from radio school, receiving his first-class radio-operator license. In 1949, Cliff Digre started a small, loud-speaker-rebuilding business. The business developed into a successful speaker manufacturing company in Minneapolis—Minneapolis Speaker Company (MISCO)—an international corporation. 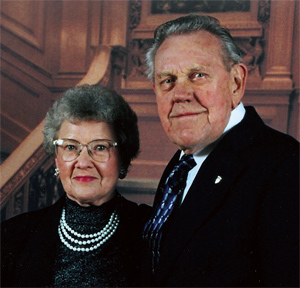 Cliff and his wife, Bernice, have been married more than sixty years and have four children and nine grandchildren. The couple divides their time between Minneapolis and Prior Lake, Minnesota. CB enjoys working at his business (he is only semiretired), spending time at his lake home and with his family, and writing about his life as a member of “the greatest generation.” He regularly attends reunions of the 457th Bomb Group and keeps up with as many of his buddies as he can.